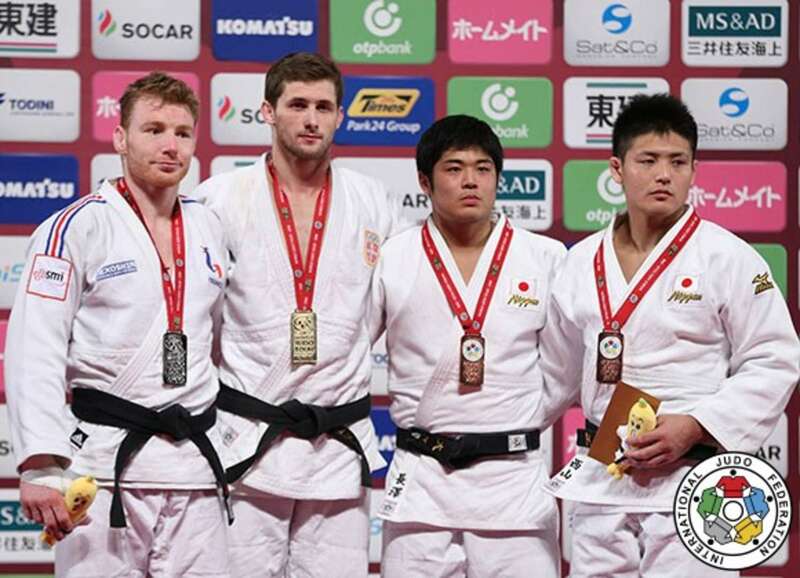 The IJF World Judo Tour 2016 came to a memorable conclusion on Sunday as Rio 2016 medallists and a new generation of Japanese and international judoka came to the fore with the ambition of competing here in Japan’s capital city at the 2020 Olympic Games. On the occasion of the last day of the Tokyo Grand Slam, Mr. YAMASHITA Yasuhiro, IJF Development Director and Vice President of the All Japan Judo Federation said: “I am very happy to see what judo has become. In Rio, we had very dynamic judo and many ippons. This is the fruit of the IJF efforts and investment. We are in a good direction. In Rio I was particularly impressed by Rafaela SILVA of Brazil. She was born in a favela and became an Olympic champion. This is what sport is all about. Majlinda KELMENDO for Kosovo was also amazing. Those two champions are the symbol of the success of judo at the last Olympic Games. “As a Japanese leader I was very proud of the results of our national team. Coming back home with 12 medals and the seven men on the podium was a real achievement. All athletes and coaches did a great job and our federation also did great to reach that level. After London 2012, many people were worried about Japanese judo, but now they are not worried anymore and I am happy about it. “Many observers were also worried about the Rio Games before it started but thanks to the involvement of everyone, the Games and especially judo was a fantastic success. In four years, the Olympic family will meet here in Japan. I can assure you that the whole Japanese judo family will make everything possible to satisfy all judoka and judo lovers around the world. I am counting on the International Judo Federation and their guidance to have the best Games ever for our sport in Tokyo. Before the start of the final block, Mr. Marius VIZER, IJF President, presented the International Judo Federation Expert diploma to Mr. MURAKAMI Kiyoshi. 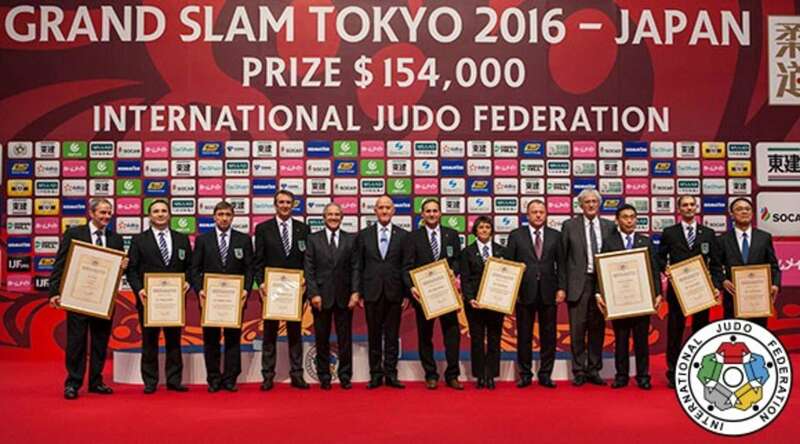 Mr. Juan Carlos Barcos and Mr. Jan Snijders, both IJF Head Refereeing Directors, presented diplomas to seven International Judo Federation referees who are retiring from their activity: Ms. Cathy Mouette (FRA), Mr. Vladimir Vostrikov (RUS), Mr. Josep Manuel Cortes (ESP), Mr. Andreas Hempel (GER), Mr. Vladimir Hnidka (CZE), Mr. Nuno Carvalho (POR), Mr. Akinoku Osaka (JPN). Following the Tokyo Grand Slam, the IJF President Mr. Marius VIZER will take part in a live Twitter question and answer session on Monday 5 December at 5pm Japanese time. SATO Ruika (JPN) won her home event for the second time as she returned to the top of the podium in Tokyo for the first time since 2012 by beating Ulaanbaatar Grand Prix bronze medallist PARK Yujin (KOR). SATO, who has now won three Grand Slam gold medals with her other Grand Slam victory outside of Japan coming in 2010 in Rio de Janeiro. 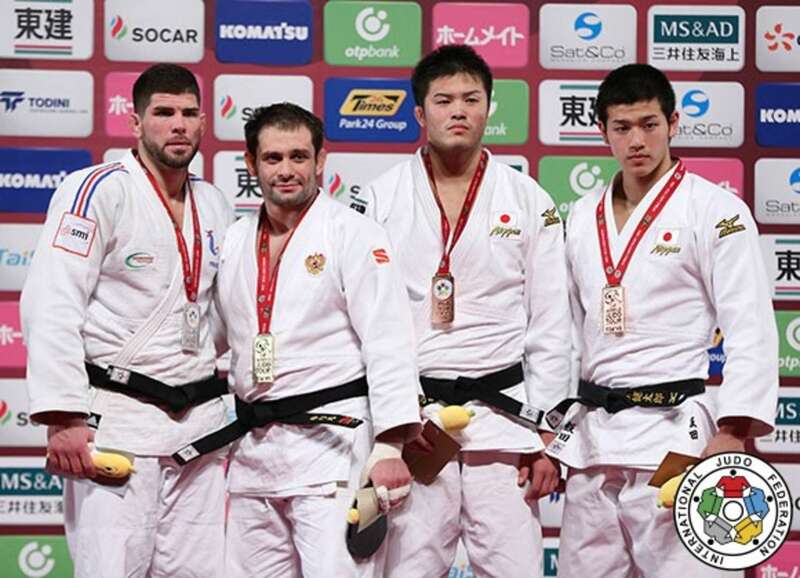 A shido against PARK was the difference after four minutes as Japan almost cleaned up the -78kg category with three of the four medals staying in Tokyo. In the first semi-final Qingdao Grand Prix winner TAKAYAMA Rika (JPN) was beaten by PARK in golden score when the Japanese fighter was penalised with a shido. In the second semi-final world champion UMEKI Mami (JPN) also suffered defeat as SATO defeated her by a yuko from a tani-otoshi. The first bronze medal was won by UMEKI over Tyumen Grand Slam silver medallist Klara APOTEKAR (SLO). The home judoka and her Slovenian rival were both penalised with a shido for passivity and continued their battle into golden score for two added minutes until UMEKI took control of her opponent for a yuko score. The second bronze medal contest was won by TAKAYAMA who submitted 20-year-old Abu Dhabi Grand Slam silver medallist Anna Maria WAGNER (GER). WAGNER lifted up her opponent with an uchi-mata but could not get enough purchase on the technique and that was the best attack from the young German. TAKAYAMA executed an intricate ne-waza turnover while maintaining control of the arm of her opponent and forced the submission with a ude-garami after 12 seconds. Kodokan Cup winner ASAHINA Sarah (JPN) defeated 16-year-old cadet world champion SONE Akira (JPN) to win her first Grand Slam gold medal having won silver and bronze in Japan in previous years. 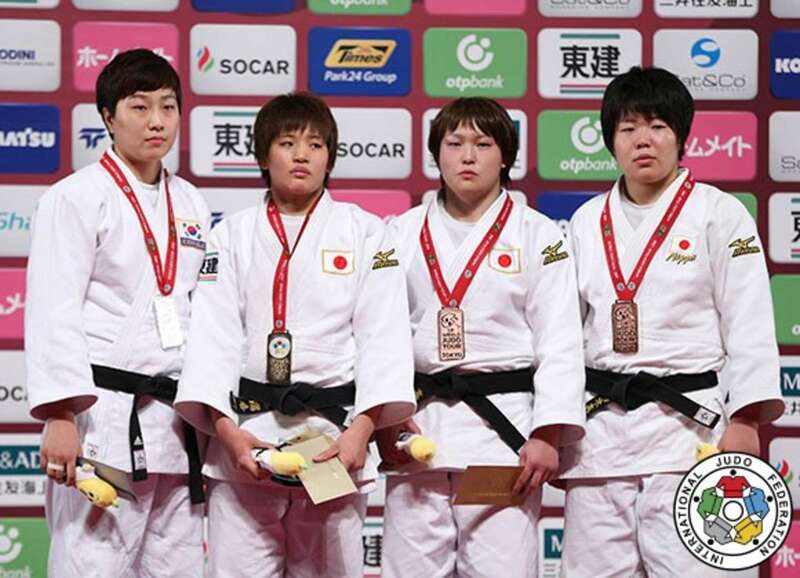 Tokai University member ASAHINA, who started judo at the Kodokan, won in golden score when 16-year-old revelation SONE, who was almost 30kg lighter than her opponent, was penalised for passivity after 40 seconds of extra judo. In the first semi-final Rio 2016 Olympic bronze medallist YAMABE Kanae (JPN) lost out to ASAHINA by ippon in a huge result for the powerful 20-year-old heavyweight. In the second semi-final SONE drove past Qingdao Grand Prix bronze medallist LEE Eun-Ju (KOR) by the maximum score as her incredible run continued at her first senior competition. The first bronze medal was won by debutant SU Xin (CHN) who surged past LEE with a ko-soto for a waza-ari and osaekomi for 15 seconds. The Chinese heavyweight applied kuzure-kesa-gatame gold and LEE was powerless to resist it as her medal hopes evaporated inside 20 seconds. The second bronze medal was won by YAMABE as Pan American Championships bronze medallist Rochele NUNES (BRA) was penalised with a shido on four occasions to receive hansoku-make. The throw-shy contest produced no scores but rather a flurry of shidos as NUNES left her famous coach Rosicleia CAMPOS with her head in her hands at the end of the contest. Abu Dhabi Grand Slam winner Aleksandar KUKOLJ (SRB) won his second Grand Slam on the trot as he repeated his victory over Axel CLERGET (FRA) from the final in U.A.E. The rematch of the Abu Dhabi -90kg gold medal contest ended with the same outcome as KUKOLJ scored a waza-ari with a yoko-otoshi and then won it in style by ippon with a tai-otoshi with 49 seconds remaining. KUKOLJ will now chase continental and world honours next year while for CLERGET, who crucially outperformed teammate Alexandre IDDIR, has he the chance to win his first Grand Slam gold in the next IJF event at the Paris Grand Slam in February. In the first semi-final top seed KUKOLJ (SRB) bested Paris Grand Slam winner NISHIYAMA Daiki (JPN) by a yuko – the only score of the contest - to move into the gold medal contest. In the second semi-final Abu Dhabi Grand Slam silver medallist Axel CLERGET (FRA) defeated Tyumen Grand Slam bronze medallist NAGASAWA Kenta (JPN) as he anticipated the uchi-mata of the Japanese and countered for waza-ari in golden score. The contest was scoreless at the end of regulation time as both judoka went toe-to-toe in an epic battle which the Frenchman won after three minutes of golden sore and could not hold back his joy as he punched the air and pointed to his teammates in the stands. The first bronze medal was awarded to NAGASAWA who saw off 24-year-old IJF World Judo Tour newcomer KUGIMARU Taichi (JPN). NAGASAWA won a lively contest, which was more than the scoreboard suggested, with a margin of 2:3 on shido penalties to capture a first Grand Slam medal. The second bronze medal went to world number 12 NISHIYAMA who beat World Judo Masters silver medallist Khusen KHALMURZAEV (RUS). The Russian judoka, whose twin brother Khasan KHALMURZAEV (RUS) is the Rio 2016 Olympic champion at -81kg, failed to make an impression as he received is fourth shido for passivity. NISHIYAMA is prolific on the Grand Slam stage as this win handed him his 10th Grand Slam medal. Qingdao Grand Prix winner Kirill DENISOV (RUS) made it two wins from two -100kg outings as his gold in China was a sign of things to come. The Russian met one of the most established judoka in the category as he opposed Rio 2016 Olympic bronze medallist Cyrille MARET (FRA) in the final. DENISOV turned three-time Grand Slam winner MARET for a yuko score and their showed their mutual respect for each other at the end of the contest with a hug and were all smiles. France’s wait for a -100kg winner in Tokyo will go on having not claimed this title for 17 years and MARET remains the best equipped judoka to alter that in 2017. In the first semi-final world number three MARET saw off surprise package Grigori MINASKIN (EST) on shidos 1:3 as the French star grinded out win that was becoming of a champion with true grit and determination. In the second semi-final DENISOV denied Joakim DVARBY (SWE) a place in the -100kg final as he won a scoreless contest 0:2 on shido penalties. The first bronze medal was won by 2012 Tokyo Grand Slam bronze medallist SHIMOWADA Shohei (JPN) who defeated DVARBY by two shidos. The Swedish fighter, who arm-locked WOLF Aaron (JPN) in the quarter-finals, was twice penalised for going out while his second JApanese opponent recorded an unblemished record to grace the medal podium four years after taking his last Grand Slam honours. The second bronze medal was won by18-year-old hotshot IIDA Kentaro (JPN) who pinned down MINASKIN for 20 seconds and ippon. The uchi-mata specialist won his share of plaudits with an eye-catching display at his first senior event as he overpowered his Estonian opponent on the ground to break through on the IJF stage. 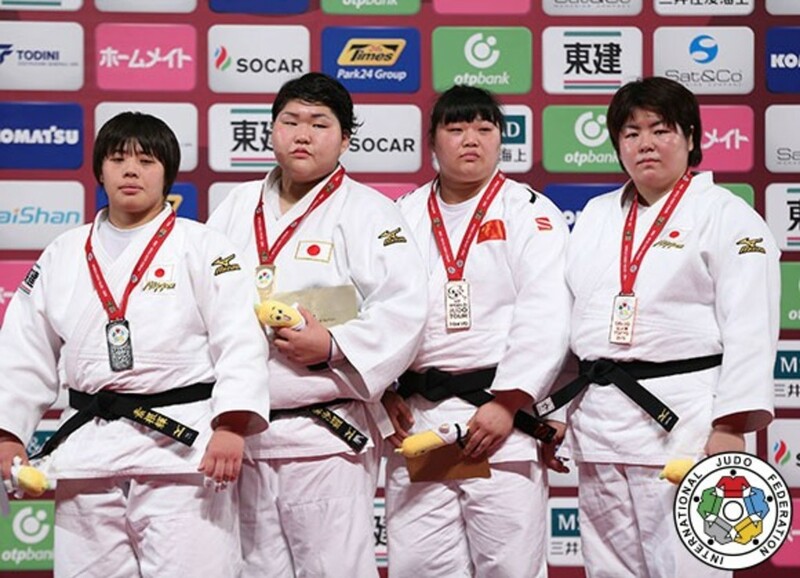 Tyumen Grand Slam bronze medallist OJITANI Takeshi (JPN) gave Japan and Tokai University a second heavyweight triumph on the final day having seen his teammate ASAHINA Sarah win the women’s title. OJITANI, 24, also celebrated his first gold medal success at a Grand Slam and had to overcome domestic opposition to achieve it. World number 28 OJITANI, who saves his best performances for his homeland, defeated 21-year-old Asian Championships winner KAGEURA Kokoro (JPN) on shido penalties 2:3. 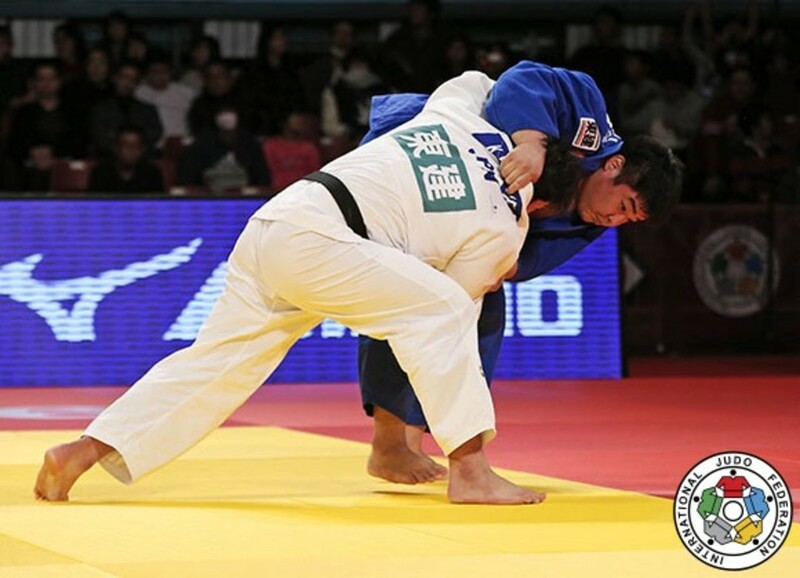 In the first semi-final top heavyweight seed SHICHINOHE Ryu (JPN) was humbled by newboy KAGEURA by a yuko score while in the in the second semi-final OJITANI shaded the little-known OTA Hyoga (JPN) on shido penalties 2:3. The first bronze medal went to 18-year-old tyro OTA who dismissed fellow rookie JU Youngseo (KOR) after 68 seconds with an o-guruma earning ippon. The second bronze medal went to SHICHINOHE who defeated Zagreb Grand Prix silver medallist Sven HEINLE (GER) to salvage a spot on the podium. The double world runner-up spurned an opportunity to top the heavyweight field in the absence of Rio 2016 Olympic silver medallist HARASAWA Hisayoshi (JPN). The world number 16 ran out with a 1:3 win on shido penalties.